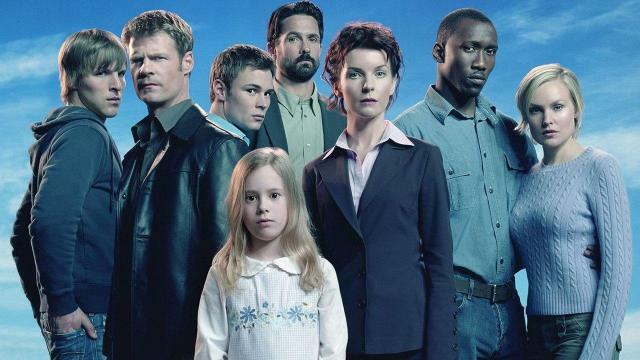 The 4400 is returning to prime time on a brand new network. Variety is reporting that the mid-aughts sci-fi series is getting the reboot treatment courtesy of The CW. René Echevarria and Scott Peters created The 4400, which ran on USA from 2004 until 2007. In the series’ pilot episode, 4,400 strangers presumed missing from various time periods were mysteriously returned to the present day. Several survivors soon discovered that they had been given superhuman abilities. Among the diverse abilities were telekinesis, precognition, and even the power to heal. Cast members included Billy Campbell, Joel Gretsch, Jacqueline McKenzie, and Mahershala Ali before his Oscar-winning turn in 2016’s Moonlight. CBS Television Studios is producing the venture, with Taylor Elmore and Craig Sweeny. Elmore and Sweeny previously worked on the CBS series Limitless. That duo will co-write and executive produce the new pilot episode. Elmore will act as showrunner, if the series is picked up. Are you excited for a reboot of The 4400? Sound off in the comment section below!